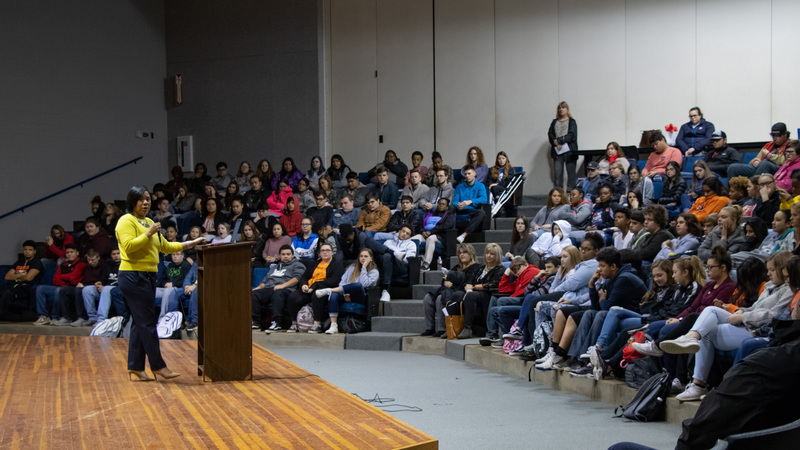 In honor of Martin Luther King Day, Seminole State College hosted a special MLK program on campus featuring guest speaker Ashley Peden, Director of Corporate Communications for the Oklahoma City Thunder, on Jan. 16. Peden discussed the importance of setting clear goals and pursuing your dreams. She spoke about the difficulties of being a black female in a predominately male career field and how she had to work hard and focus on her goals to achieve the success and position she has today.